“My baby did not pass the NEWBORN HEARING SCREENING!” Now What?!? One of the many hospital screenings that occur within the first day (or two) of birth is the Newborn Hearing Screening (NBHS). The key word is screening, which means it’s a pass/fail kind of a test. It is not a diagnostic test which would determine the specific type and degree of hearing loss. In other words, just because a baby fails the hearing screening it does not necessarily mean they have a hearing loss. Furthermore, if a baby does have a hearing loss the “fail” does not tell us the type, degree (severity), or configuration. The Universal NBHS is a means of identifying hearing loss as early as possible. It has been a very positive initiative since earlier identification and intervention leads to better outcomes for deaf and hard of hearing children. NBHS in most hospitals consists of one of two tests: OAE or ABR. 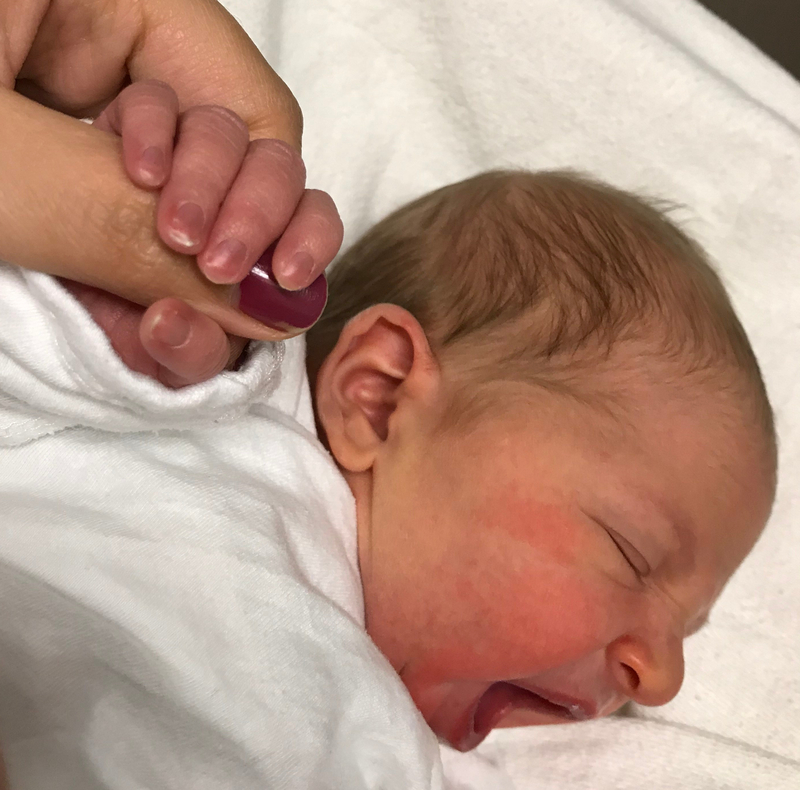 There is a lot of medical jargon which can be overwhelming, but for this post, I’ll be discussing the implications of a baby not passing the initial screening, be it an OAE or an ABR. If a baby does not pass the screening in either ear, the screening is generally repeated once more before the baby is discharged home. If the baby does not pass the second time, (or an additional screening is not performed before the baby is sent home,) they will be sent for follow up screening, usually at a community audiology practice. Not passing the NBHS can be a sign of any number of things and does not automatically mean the baby has hearing loss. There is the idea of a “false positive,” meaning a test result is flagging the patient for having a problem when they don’t actually have it. All equipment must be calibrated regularly and tested to ensure it is working properly. If the equipment is malfunctioning and a few babies fail the screening in a row, the person performing the screening should make sure to test the equipment and eliminate this issue. Remember, the baby was living in amniotic fluid for 9 months! It can take ~2 weeks for this to clear out of the ear canals. The people performing and recording the screenings are after all humans. Even a mistaken keystroke in the medical record could trigger the system to label the test a “fail” and request a follow up screening, when in fact the test revealed a “pass”. This is also why a follow-up screener will always re-screen both ears, even if only one didn’t pass in order to rule out any mix-ups. Babies’ ears are so very small and although the equipment is designed for tiny ears, it can not always account for a very curvy ear canal or an opening that is too much smaller than the smallest size earpiece (called a probe). If the second screening also results in a ‘fail,’ then a full diagnostic workup is next. This is performed by an audiologist. The full work up will consist of an ABR (Auditory Brainstem Response) evaluation done while the baby is sleeping. Electrode stickers are placed on the baby’s forehead and behind the ears; these are used to monitor the auditory nerve and brainstem response to sound. Sounds are then played through small earphones placed in each ear. The evaluation takes about 45-60 minutes depending on the sleep state of the baby and other factors. It is not uncommon for several appointments to be necessary in order to obtain a complete result. It should be noted that even with a “pass” on the OAE or ABR screening, there can still be a mild hearing loss present. In addition, progressive hearing loss, which occurs over time can develop, thus babies who are at risk for hearing loss should continue to be monitored. Risk factors include family history, time spent in the NICU, deformities of the ear or face, identified syndromes etc. When a hearing loss is identified, it is often recommended to have the entire ABR diagnostic repeated at another clinic, with different equipment and another clinician, to confirm the diagnosis. Early Identification is crucial for proper and effective intervention. Once a hearing loss is identified the process of deciding which communication modes will be introduced, which devices will be considered, and a schedule for monitoring/further evaluations will be set up. This is all in an effort to set your child up for success. There are, of course, many emotions that come up for parents when they learn of their child’s diagnosis and there is often a grief cycle that is natural and necessary, as most children with hearing loss are born to hearing parents. Give yourself permission to experience any emotions and feelings that you have- they are all valid. Seek support from other parents and professionals who can provide you with guidance and information. Additional referrals will also be made as they pertain to your child; these may include genetic testing and counseling, vision testing, workup of the heart and lungs etc. There is a lot of information out there and it can be overwhelming but it can also help you to better understand your child’s situation and specific needs. If your baby has not passed the newborn hearing screening, do not jump to conclusions but rather be prepared to repeat the screening and undergo diagnostic testing if necessary. Whatever the result, you are your child’s best advocate and know that knowledge is power!